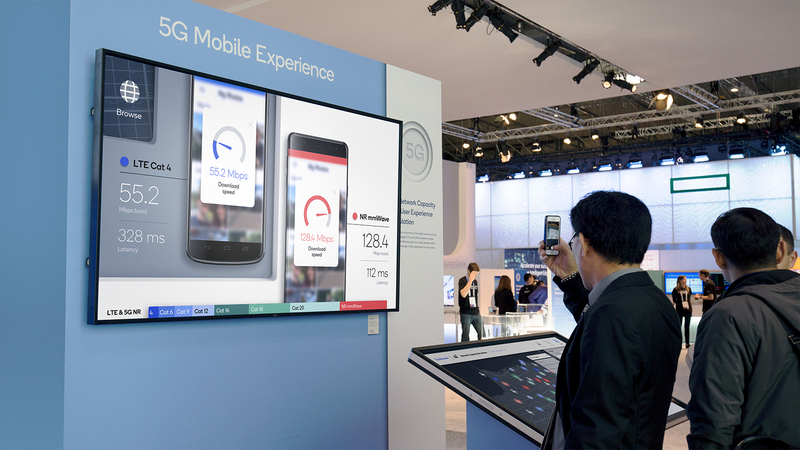 An interactive experience that simulates a real 5G network for Qualcomm at Mobile World Congress. 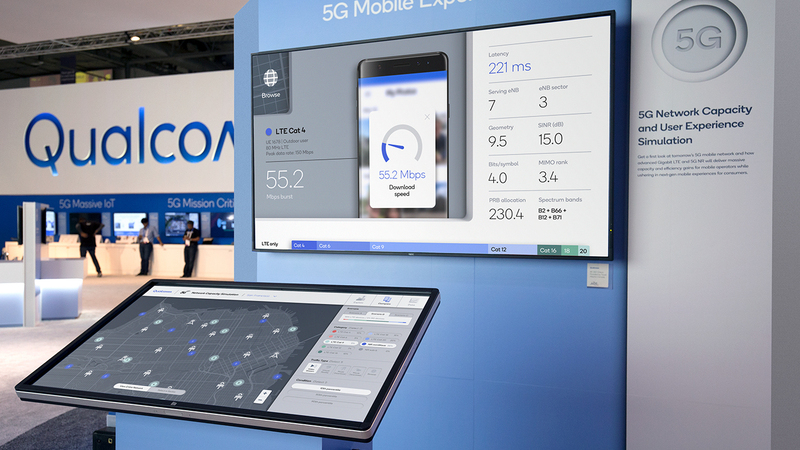 Qualcomm is building real-world simulations that predict the future promise of 5G technology for mobile broadband performance. I worked with Sosolimited to build them an interactive experience that tells their powerful story to decision makers in the mobile tech industry. 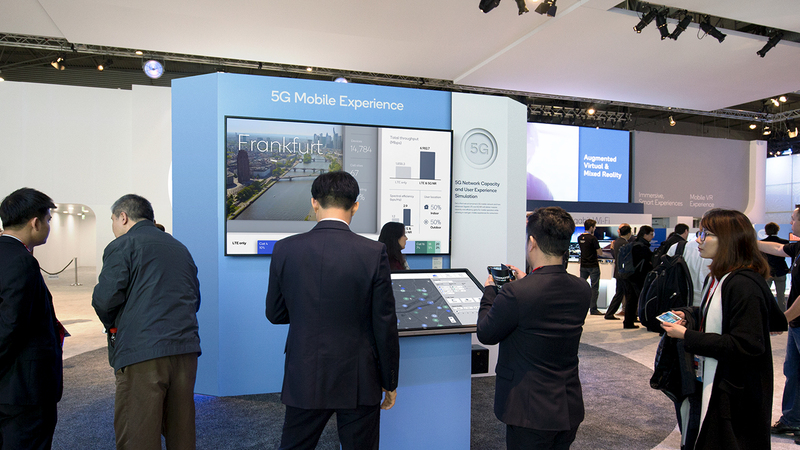 We collaborated closely with Qualcomm’s engineering team to create a visually engaging and information-rich interactive experience that simulates a real 5G network. 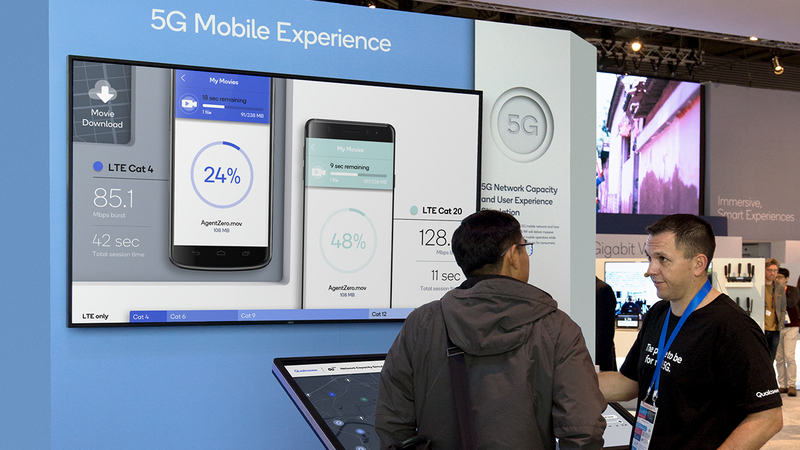 Building on Qualcomm’s unique capabilities to accurately model and simulate cellular networks, the experience delivers quantitative insights on the future performance of 5G NR and Gigabit LTE devices. 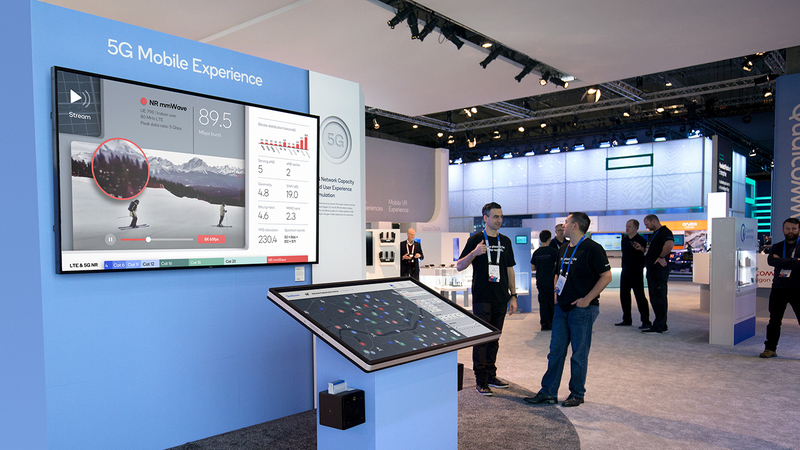 The interactive went further to visualize how 5G-powered mobile experiences will feel for real world users as they stream video, download files, and browse the internet.